Antenna Direct DB4e Extended Range HDTV Antenna Ultra high gain 60 degree beamwidth. Antennas Direct have again invested in their newest design Antenna If the clearstream technology was not shocking enough! No other antenna manufacturer has done any significant research and development into antenna technology and it has remained stagnant for over 30 years. 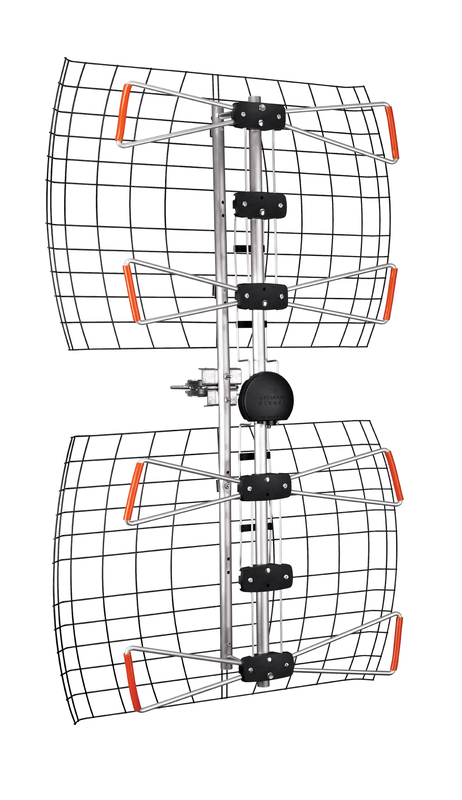 The DB4e performs and comes in the same class as a 8 bay antenna and half the size, and now Antennas direct have come out with a new revolutionary twist and design to older technology. 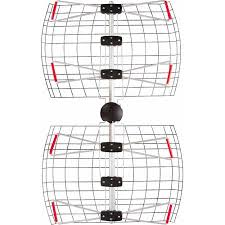 The Antennas Direct DB4e extended range HDTV Antenna is a multi-directional digital tv (DTV) HD antenna that allows capturing of multiple towers, because it is a multi-directional UHF wide beam (60 degrees). 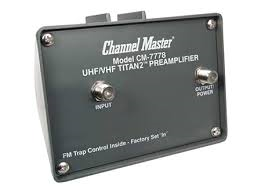 This is an Ultra range HDTV antenna designed for UHF DTV frequencies. with the addition of the antennas direct retrofit kit in will convert this uhf antenna into a UHF/VHF Antenna. 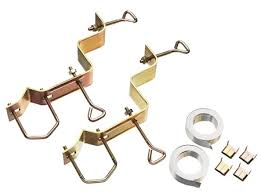 Make your antennas direct DB4e extended range UHF HDTV Antenna into an antennas Direct DB4e-V with this antennas direct retrofit kit for VHF. Welcome the new Antennas Direct DB4e ultra long range UHF Antenna, a breakthrough in Bay Technology design. This all-new design antenna features improved performance and range capabilities. With its added gain of 14.5 dBi, the Antennas Direct DB4e is the strongest multi-directional antenna in the world. The redesigned mesh reflectors now give a front to back ratio of greater than 18 dB. The unique bowtie design that is exclusive to our DBe series of antennas provides solid UHF performance. By using triangular elements instead of rods, the DB4e has a massive increase in bandwidth allowing it to cover the entire UHF band. This antenna is above and beyond what other traditional multi-directional antennas can promise. The Antennas Direct DB4e closed loop bowtie enhancements makes this antenna outperform all its competition. Antennas Direct DB4e vs Channel master 4221HD has no comparision in performance as the Antennas Direct DB4e totally outperforms all competitors 4-bay bowties designs. In fact the Antennas Direct DB4e vs the channel master 4228HD 8-bay HDTV antenna performance tests shows the DB4e outperforms the rival 8 bay antenna with a much higher gain and wider beam. 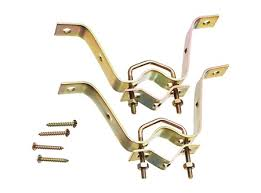 Making the Antennas Direct DB4e extended range the best 4 bay bowtie multi-directional HDTV Antenna on the market. The Antennas Direct DB4e Ultra Long Range antenna is the first broadcast antenna without the performance compromises. 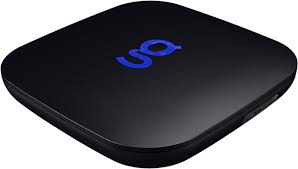 It offers reliable reception from widely spaced broadcast towers without the need for rotation. Using aluminum and steel, DB4e antennas are engineered for strength and durability. 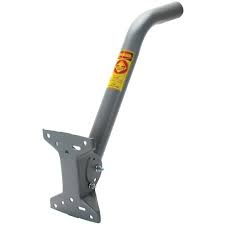 Backed with Antennas DIrect lifetime warranty with testing in wind tunnels for strength and durability. Save And Replay is a distributor of Antennas Direct and has been in Business since 2003 well over 10 years in Canada, we honour this warranty directly for all our customers here in Canada. The Antennas Direct DB4e antenna has 3X the power and half the size! This antenna is great for problematic areas challenged with receiving signals through heavy foliage outdoors. The Antennas direct DB4e is our top selling HD TV Antenna for many areas including the Toronto GTA Area (please note its not always the best antenna for your location as signals are location dependent and contacting save and replay is best to do a proper terrian report before selecting your HD TV Antenna). The reason why the antennas direct DB4e is so popular is because of its wide beam ultra high gain and extended range (60+ miles). It has a 60 degree beam width making the DB4e a true multi-directional OTA HD TV Antenna solution.